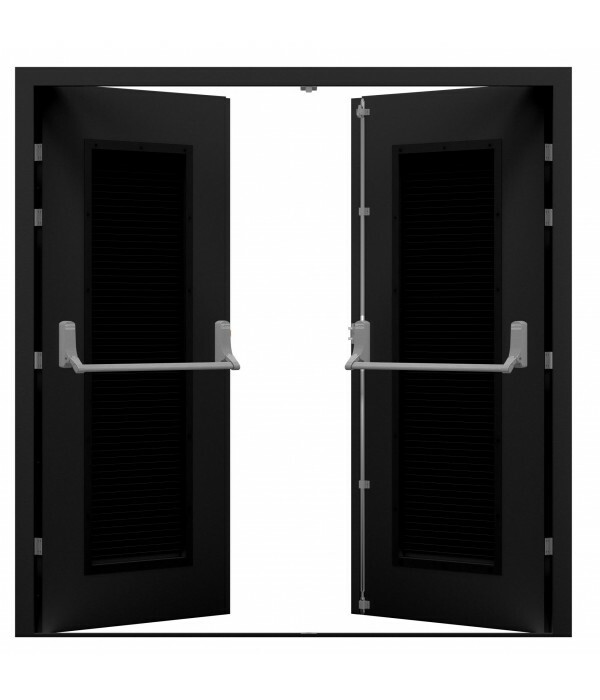 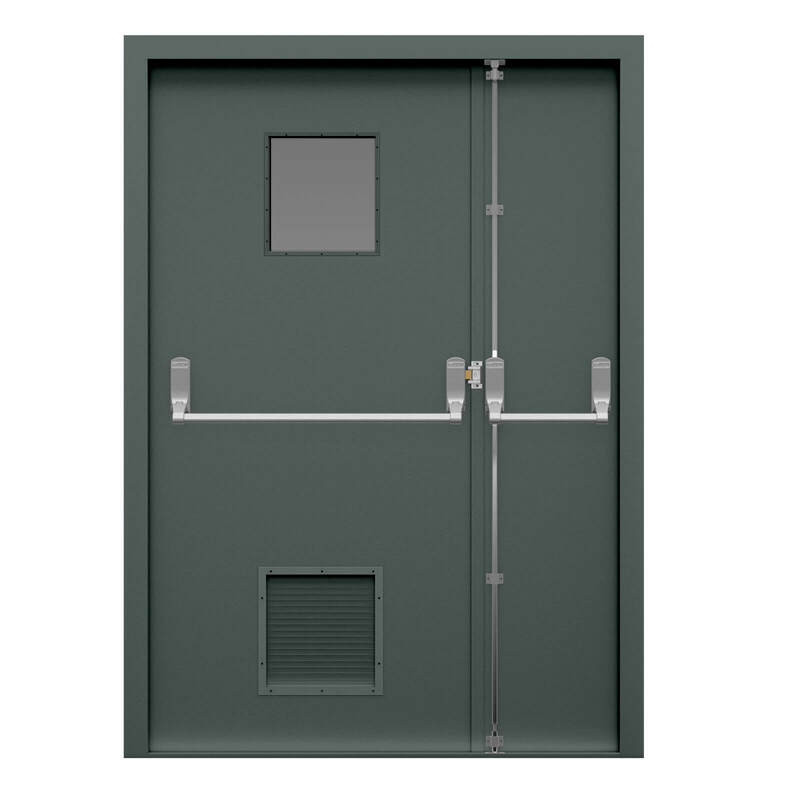 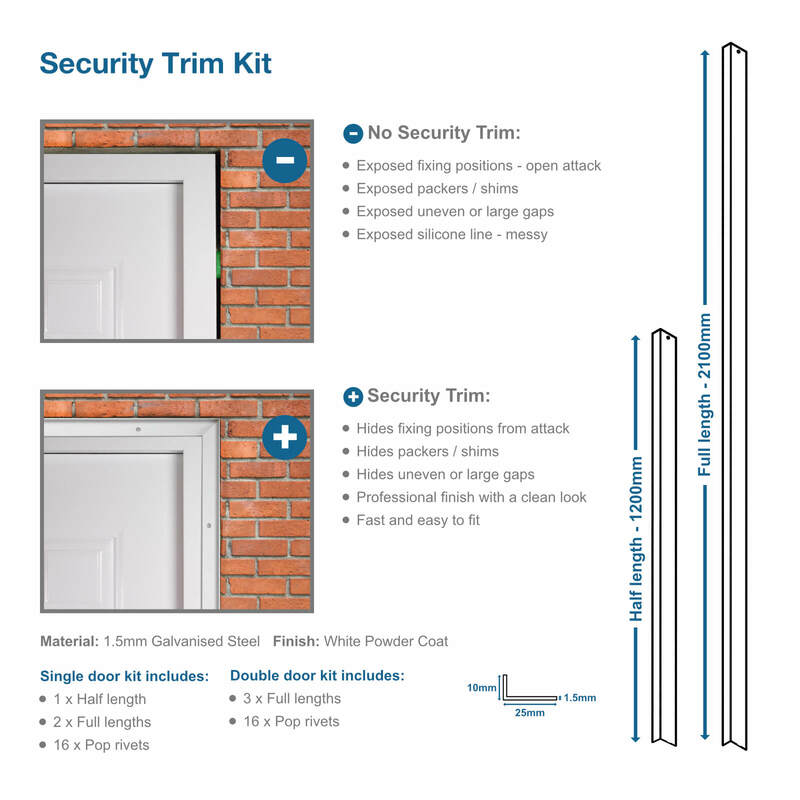 Our Security Louvred Double Fire Exit Doors are manufactured using our double fire exit door range, featuring a security Exidor 285A adjustable panic bar set. 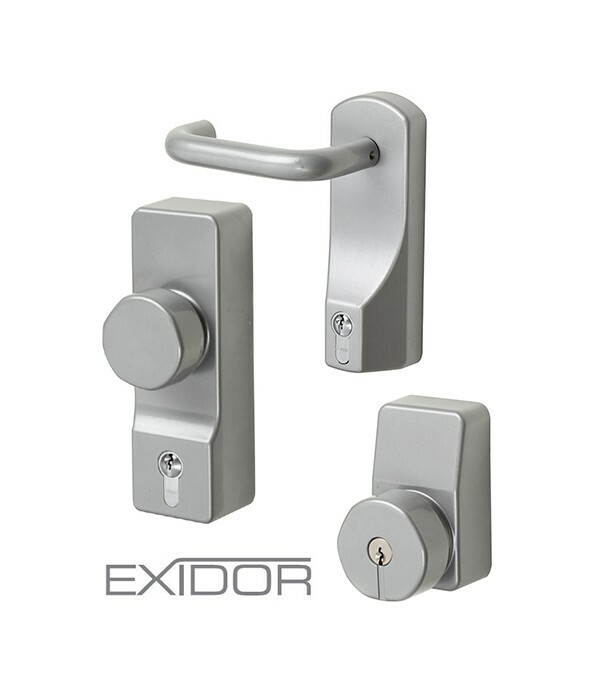 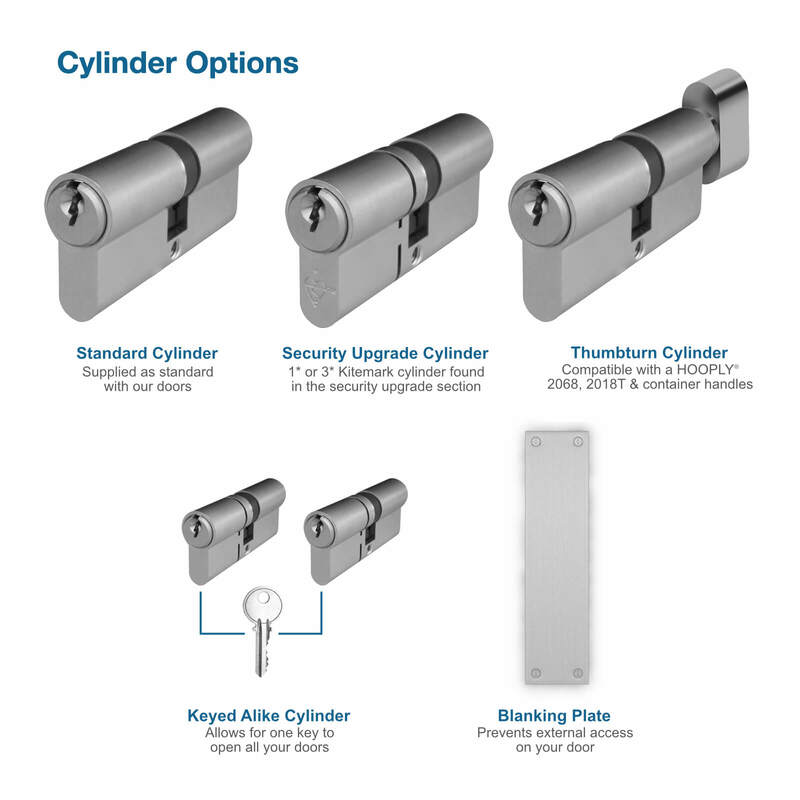 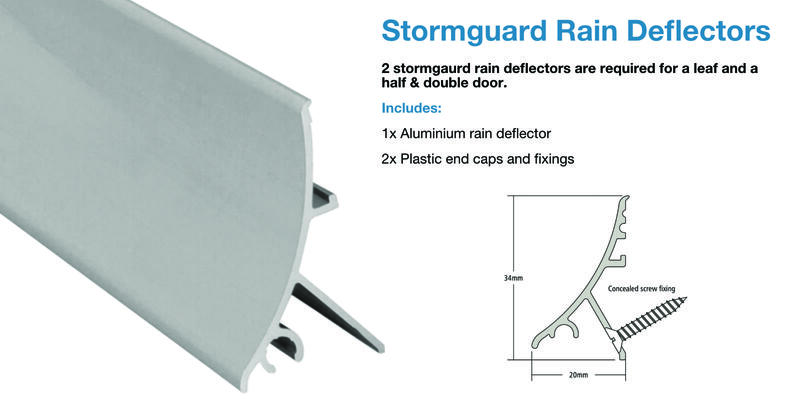 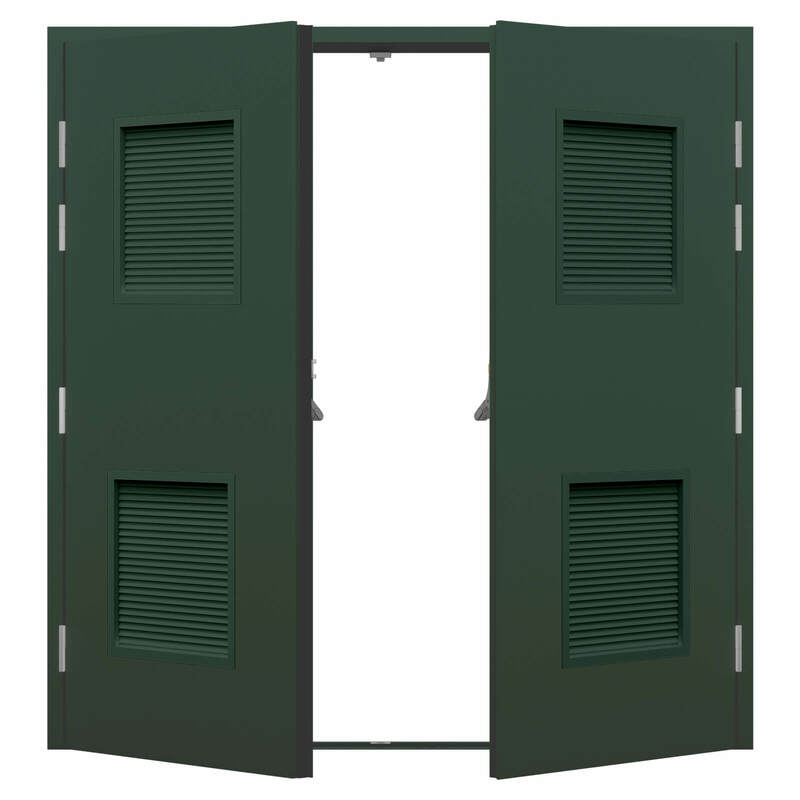 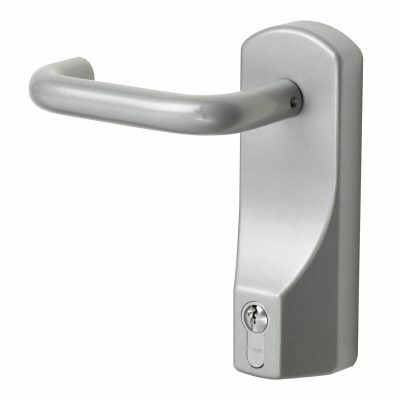 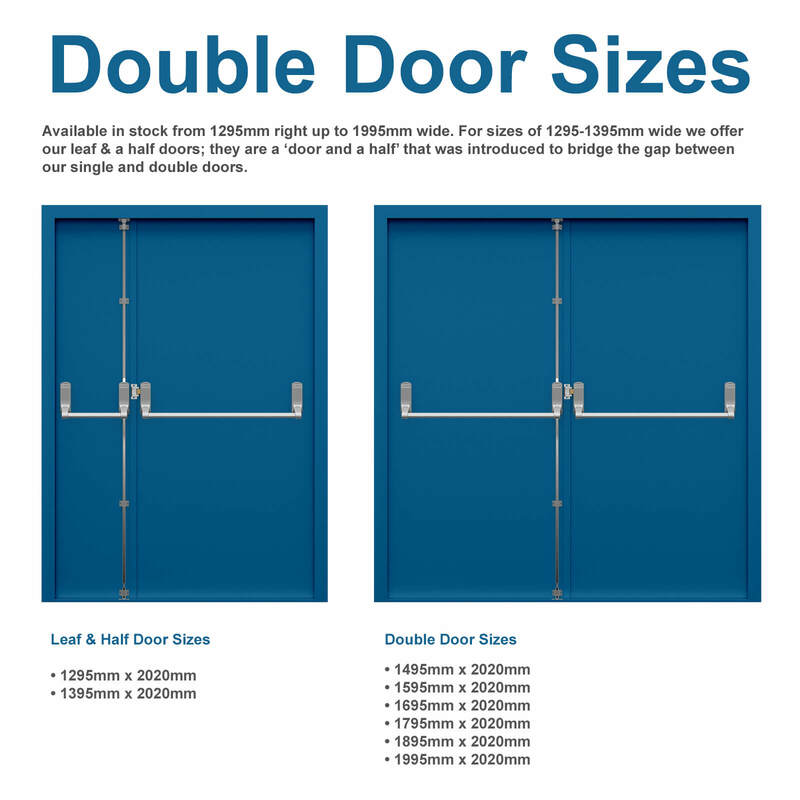 Combining security, fire safety and ventilation, they are available in sizes 1295mm-1995mm wide. 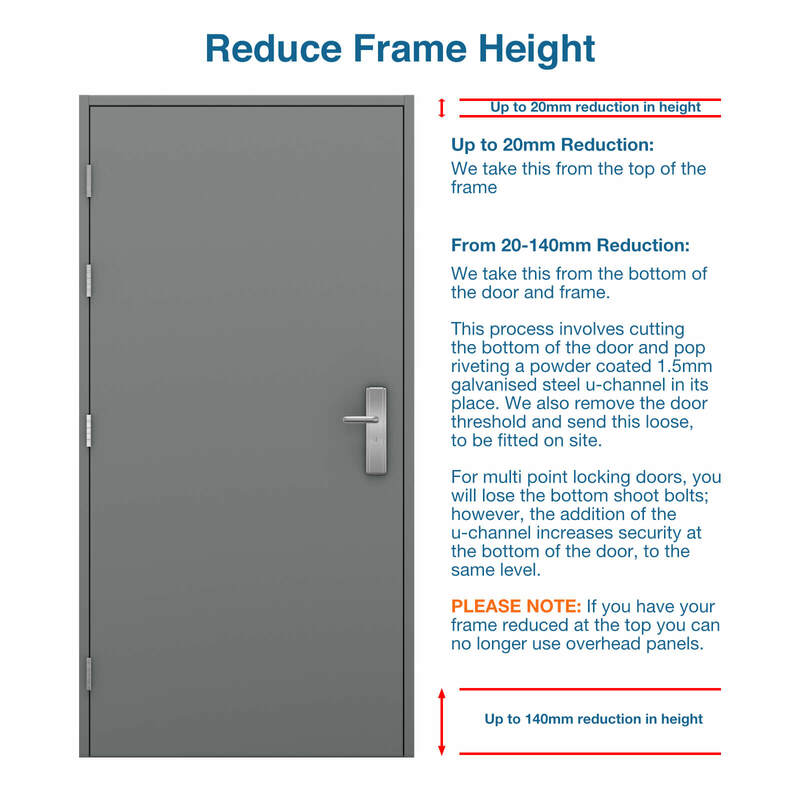 For smaller openings, see our Single Louvred Fire Exit Door. 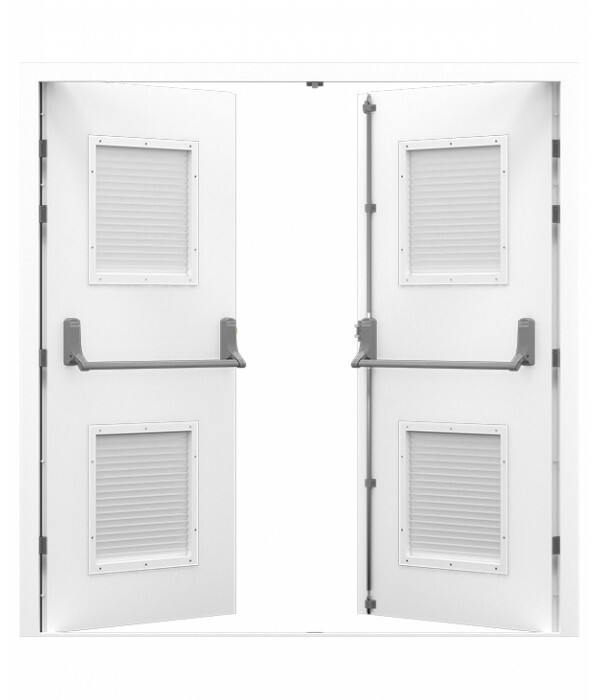 Our louvred double fire exit doors not only improve airflow, they also ensure a high level of security for rooms with restricted access. 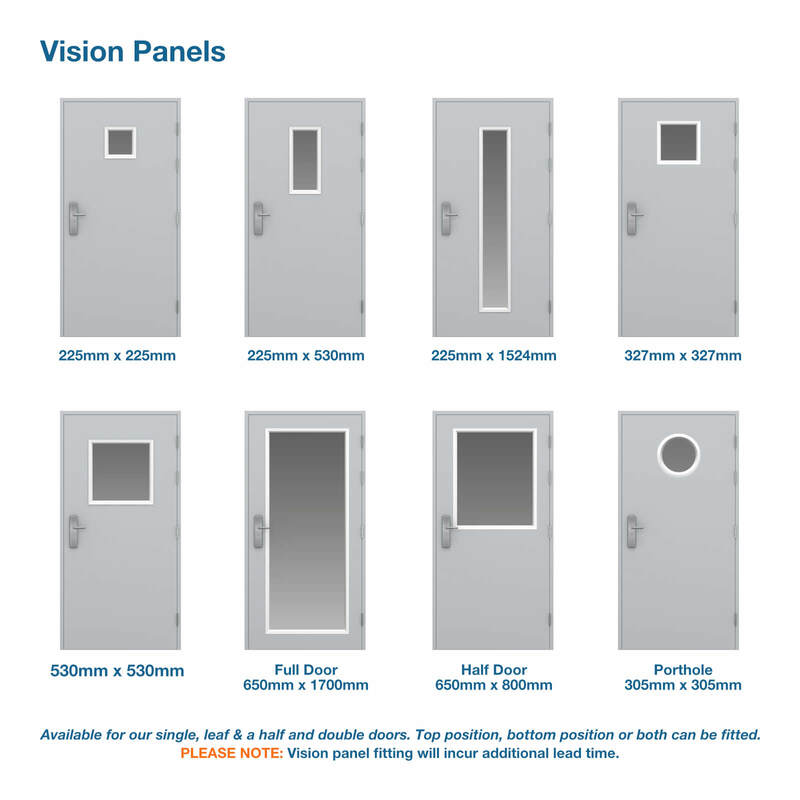 They have a wide variety of uses such as for server rooms, boiler rooms and electricity cupboards for your business premises. 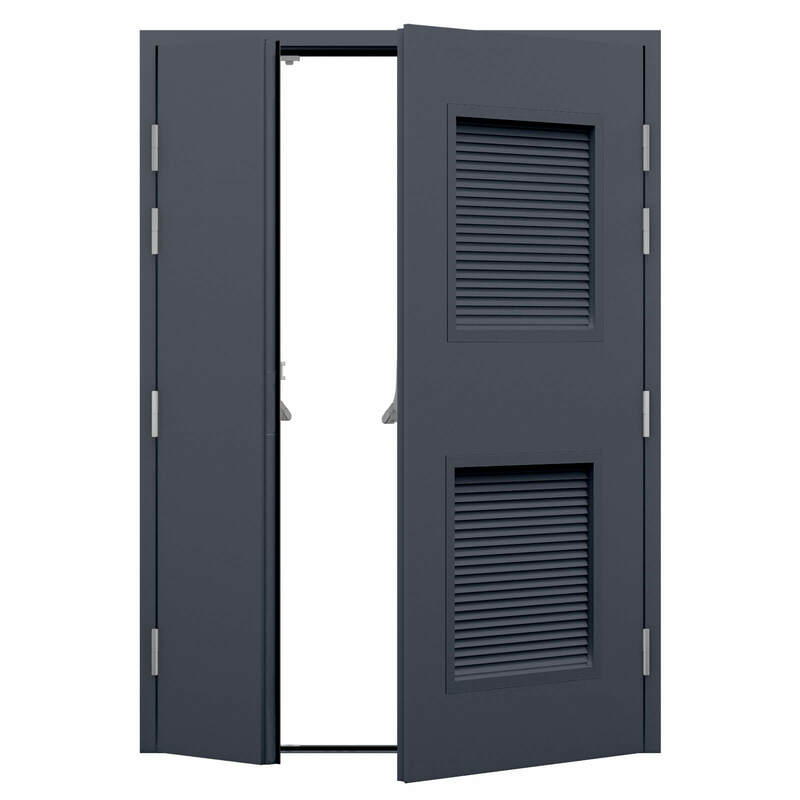 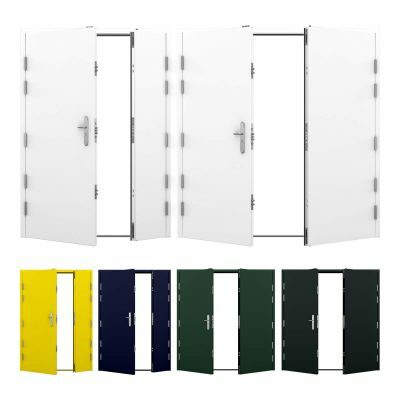 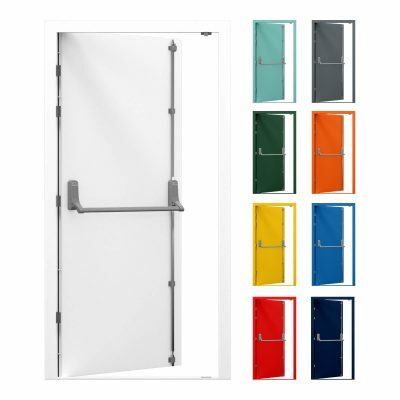 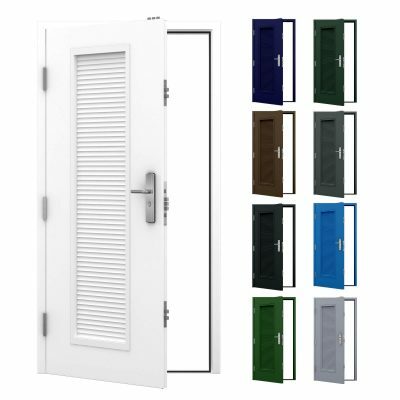 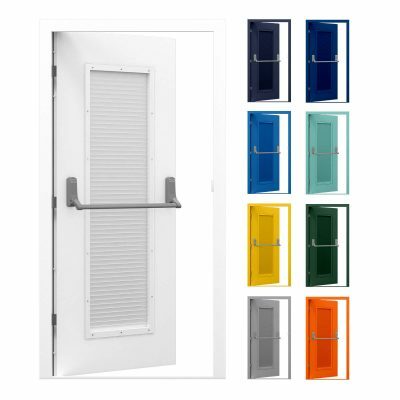 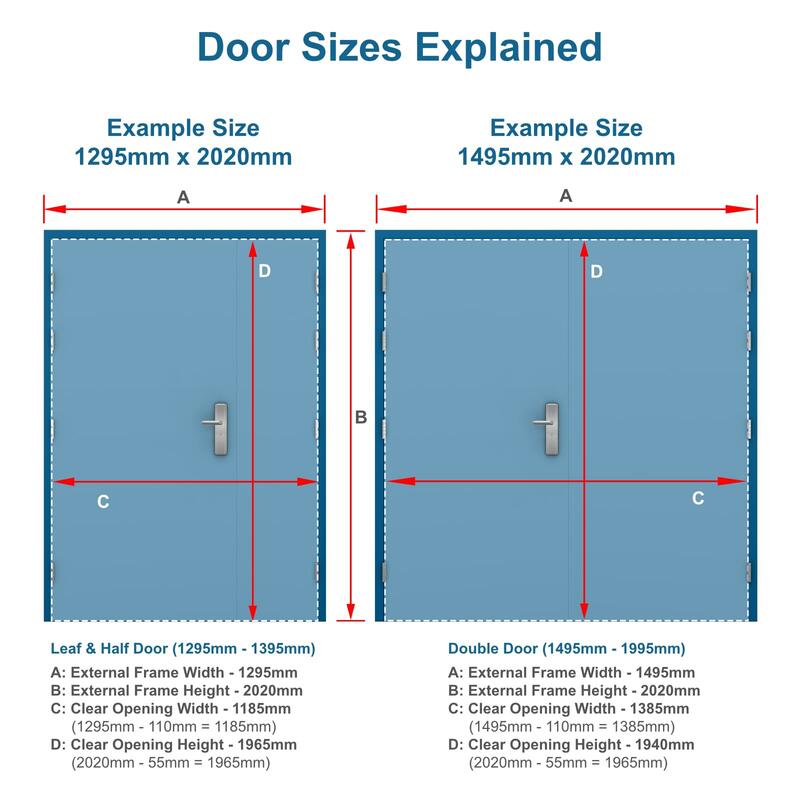 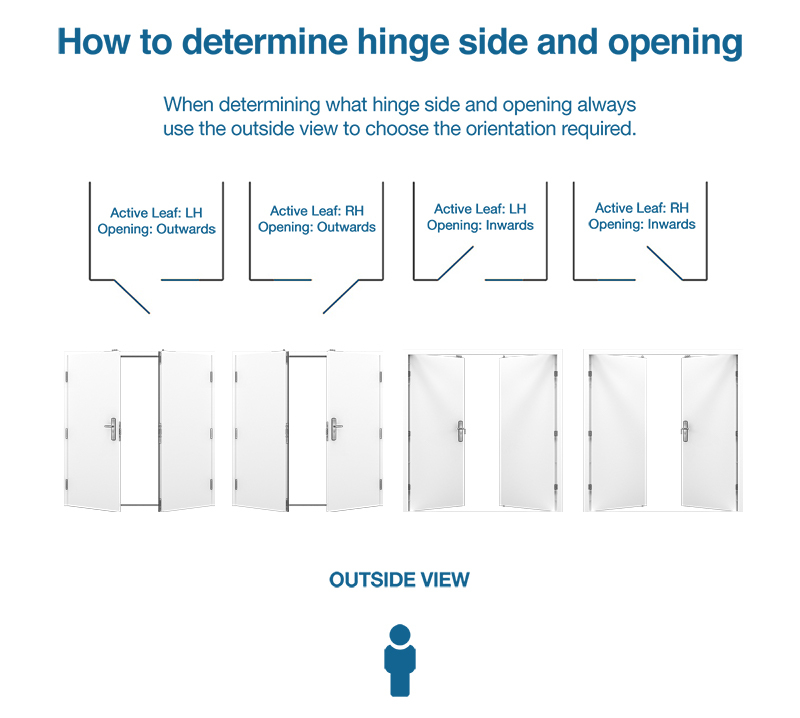 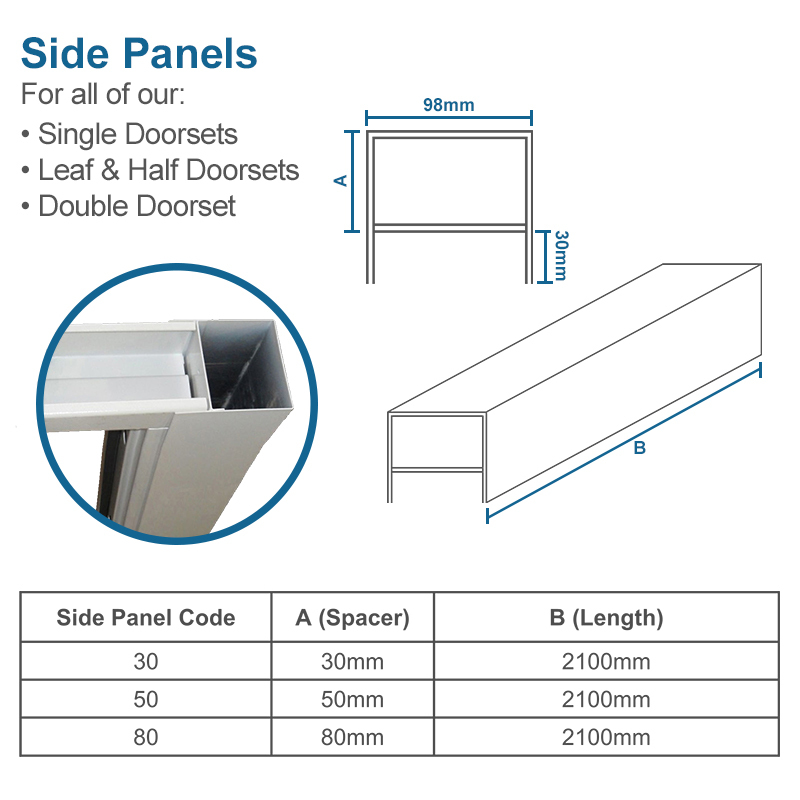 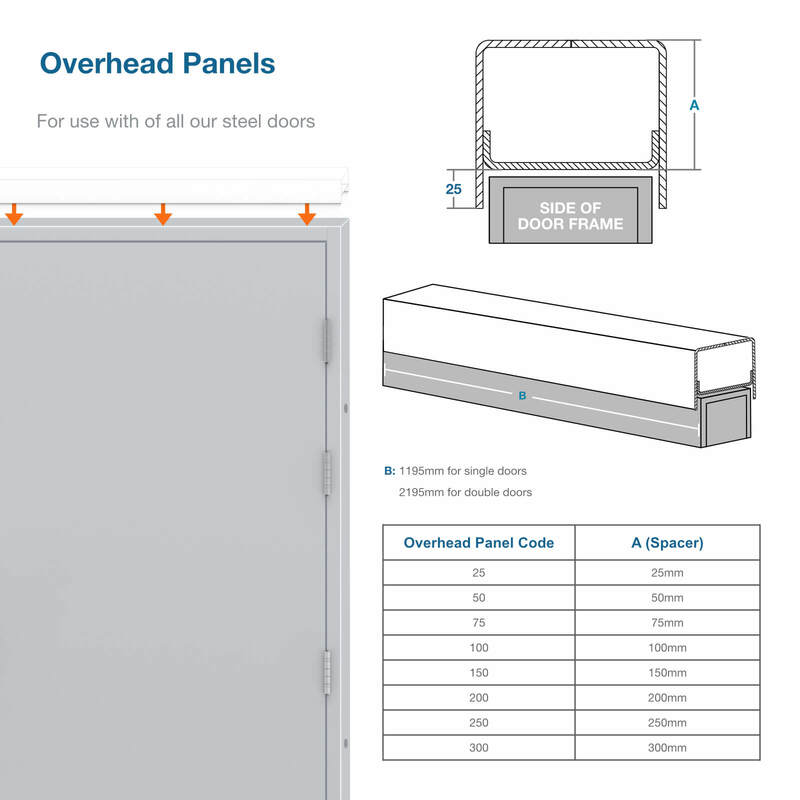 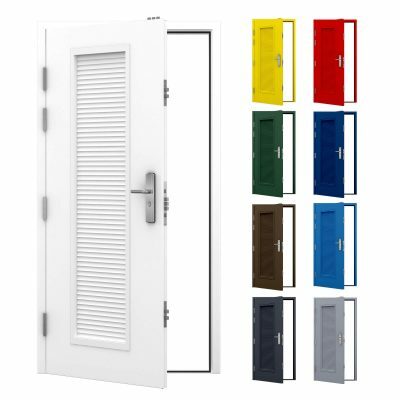 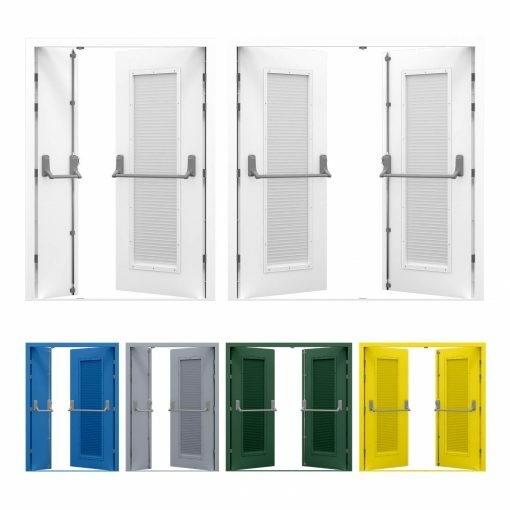 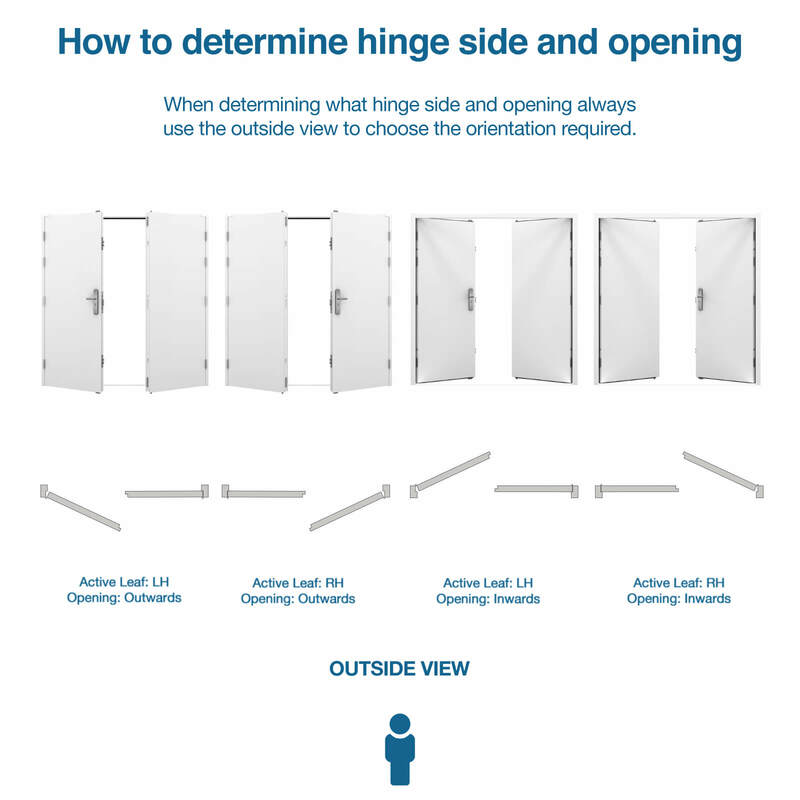 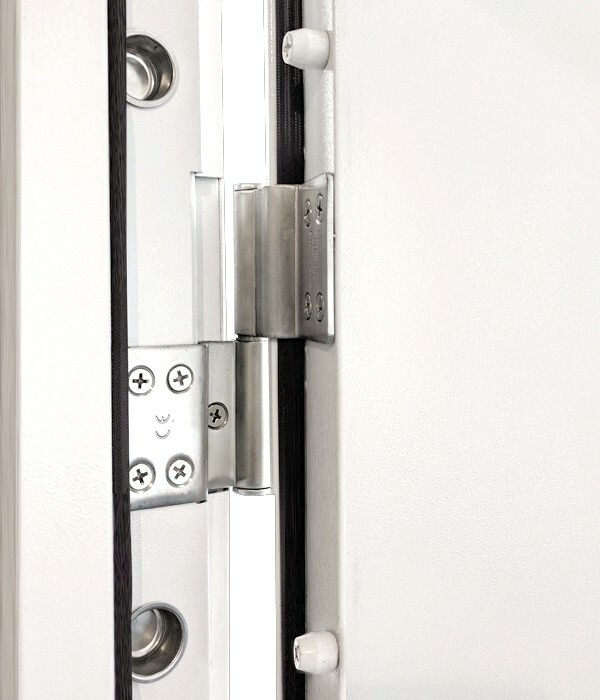 This door is fully compliant with the Disability Discrimination Act as it has a level threshold with a maximum upstand of 12mm, with chamfered edges. 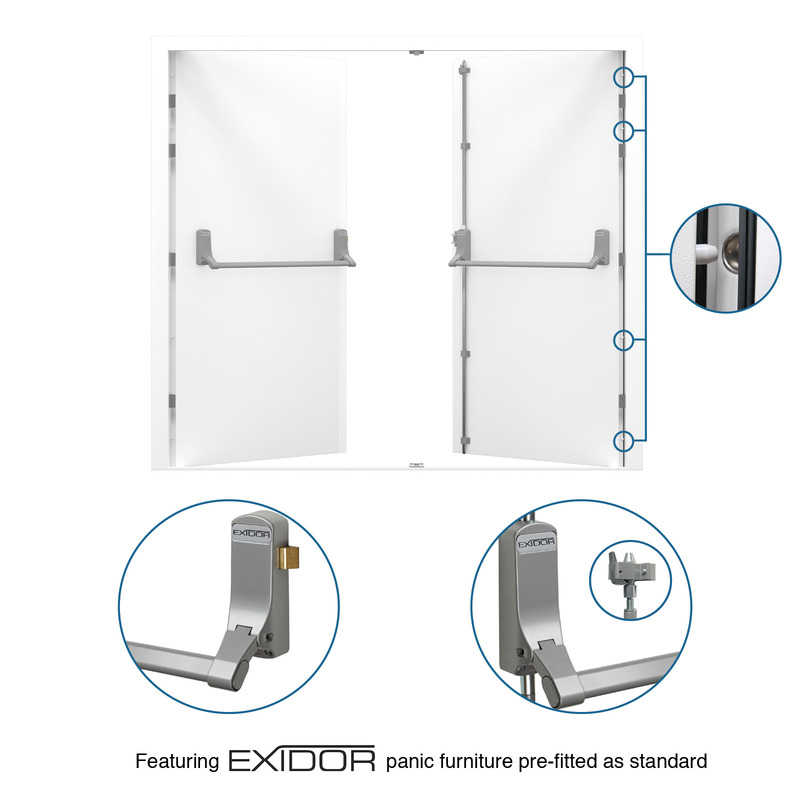 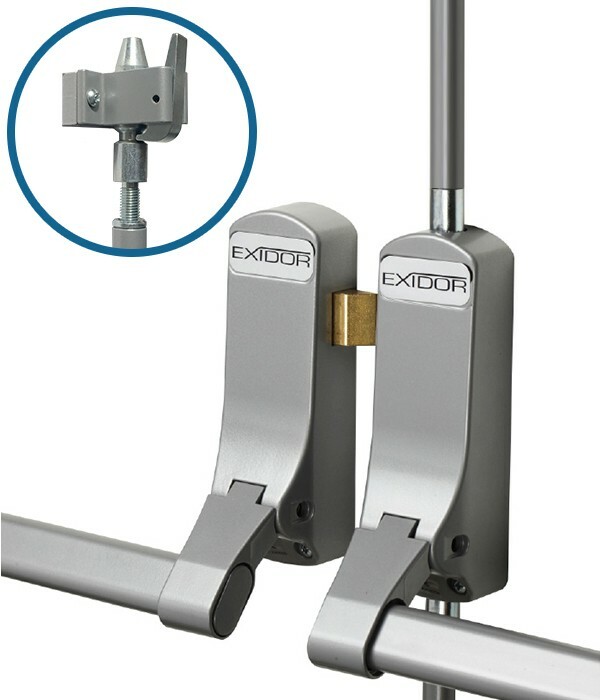 Our louvred fire exit door is secured with 8 stainless steel heavy duty lift-off hinges and 8 dog bolts and British made Exidor 285 panic hardware with adjustable shoot bolts. 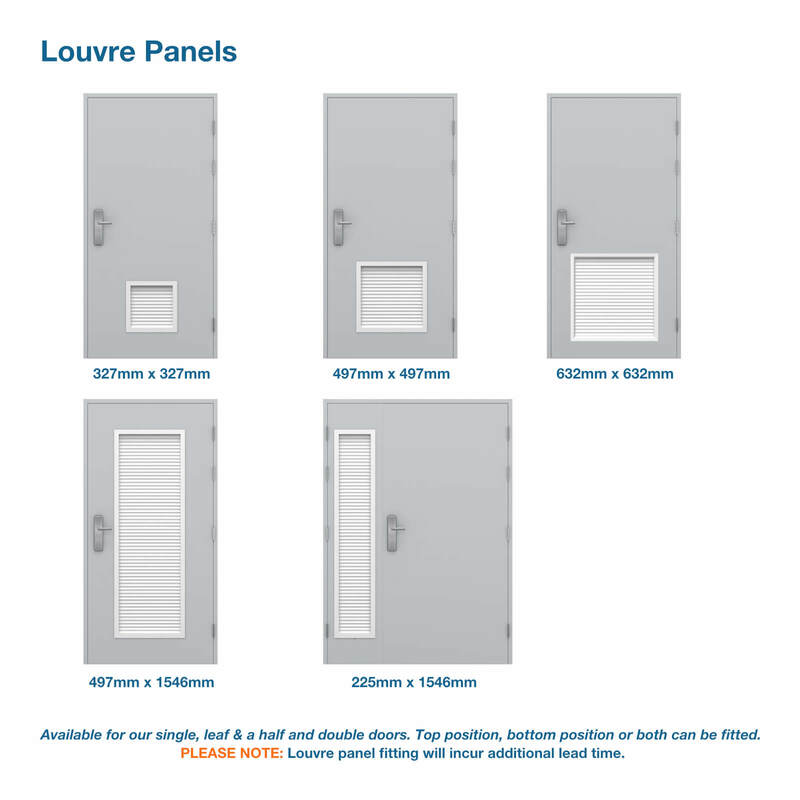 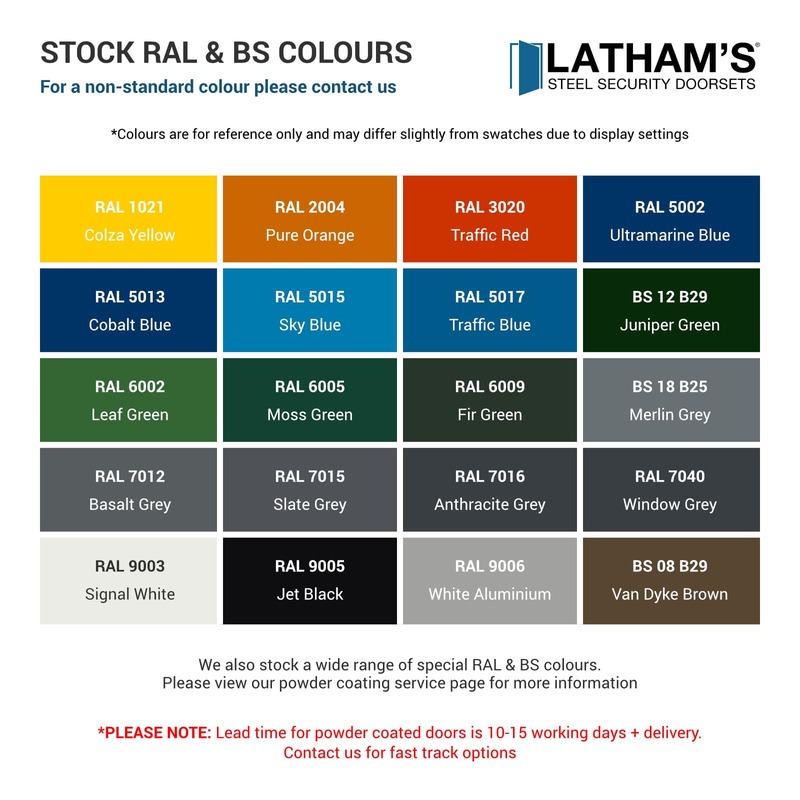 All our doors are kept in stock and are available for next day delivery via dedicated courier. 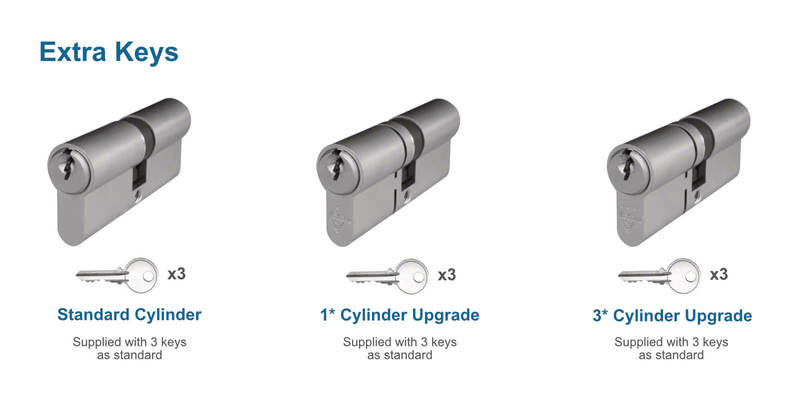 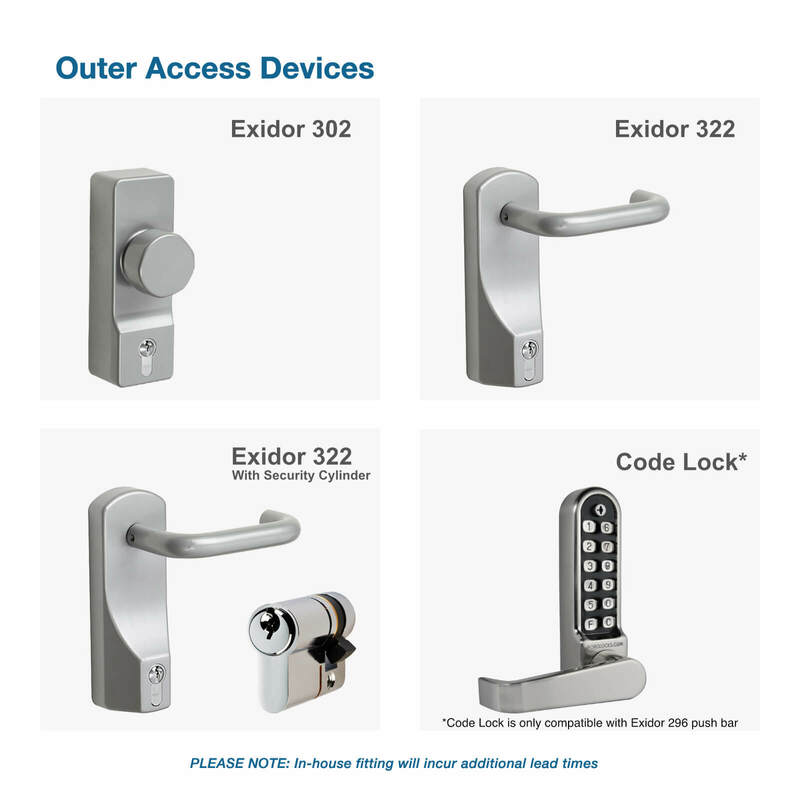 This makes them ideal for business projects with tight deadlines or when you’re in need of a quick replacement to keep your property secure.